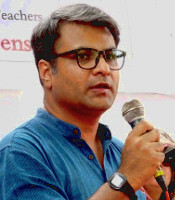 As one of the leading organisations of the left and democratic sections of teachers within the University of Delhi, the Democratic Teachers’ Front has consistently and continuously spearheaded the fight against policies of Privatisation, Commercialisation and Corporate models of authority that threaten to destroy Access, Equity and Academic Freedom in Higher Education. 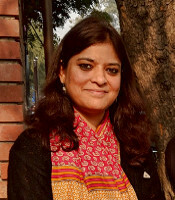 Through its leadership of the DUTA and the vocal presence of its activists in statutory bodies, DTF has ensured that Delhi University does not meekly carry forward the sinister attempts of the Government of India to withdraw public-funding, impose Graded Autonomy and loan-funding through HEFA and RISE and deny constitutionally mandated Reservation to SCs, STs and OBCs in appointments. 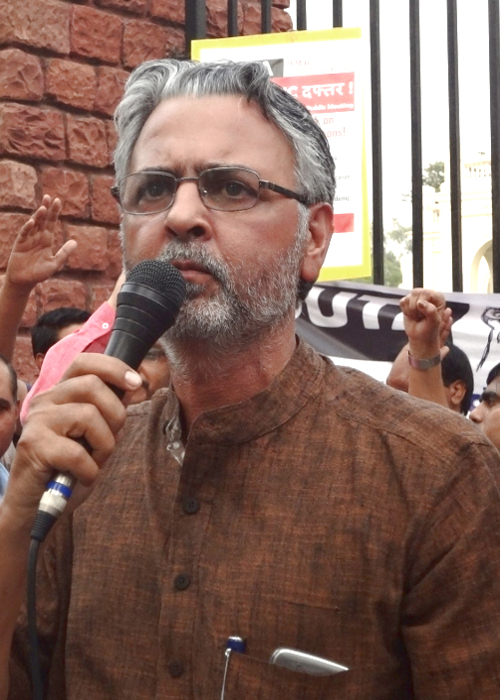 Increasing interference of the Government in the autonomous functioning of educational institutions coupled with attempts to use punitive measures to silence and beat back the teachers’ movement has led to a serious crisis in Delhi University. Appointments and promotions have not taken place for over a decade and retired employees have been denied pensions. The Government has neither brought in an Ordinance on the reservation roster to enable appointments to take place nor has it directed the University to withdraw the SLP so that pensioners can get their rightful dues. Though the teachers’ struggles forced the Government to backtrack on the arbitrary and illogical point system for promotions, the UGC Regulations 2018 still has many adverse provisions for teachers awaiting appointments and promotions. The VC’s inaction and insistence on bureaucratic procedures have led to immense harassment of teachers and delays in crucial decision making has led to a complete collapse of the normal academic functioning of the university. The undermining of statutory bodies by not holding regular meetings and the buckling down to pressures of the Government or its agents have become the hallmark of this administration. 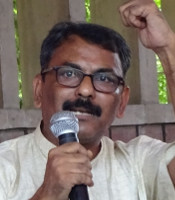 The agents of the RSS and ruling party within the AC have been regularly trying to usurp the legitimate academic prerogatives of departments and faculties by demanding bans on books that are critical of the Government or the supremacist ideology of the RSS. The Standing Committee’s decision to remove Kancha Ilaiah’s books is the latest example of this ideological policing and attack on intellectual autonomy. 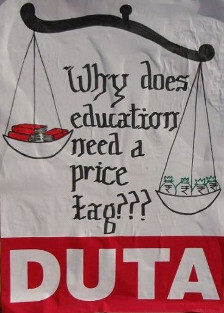 The other teachers’ group, infamous for its collaboration with the administration against teachers and their collective body, the DUTA, has been involved more in gimmicks and one-up-manship to restore its credibility rather than pursuing the issues facing teachers and the university seriously and with a sense of responsibility. 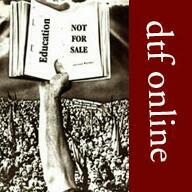 In this scenario, the DTF has announced a formidable panel of committed activists for the Executive Council and Academic Council elections, to be held on February 8, 2019, in order to take up teachers’ issues and to make the statutory decision-making bodies of the University more effective and accountable. 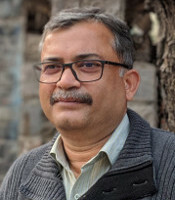 Bhupinder Kumar Chaudhary (Associate Professor of History at Maharaja Agrasen College) for the Executive Council. Bhupinder is a veteran firebrand activist. He has been the Treasurer of DUTA for two terms (2013-15 & 2015-17). Along with the then DUTA President Nandita Narain, he has led some of the legendary movements led by DUTA through times when the DUTA itself was under attack. During their tenure, the protracted struggle to push back the UGC 3rd Amendment saved the jobs of 4000 adhocs and temporary teachers in DU. He has also served as a member of the Academic Council for two terms (2004-06 & 2006-08) when he took up the DUTA’s demand to implement the UGC directive on 200 point roster for reservation in teaching posts in University of Delhi taking college or the University as a unit. Bhupinder has a distinguished record of activism for the last four decades: from his student days in various Universities such as Punjab and JNU to struggles related to farmers and agrarian policies pursued by various governments at the Centre and State levels. The DTF appeals to the teaching community to elect its entire panel to the EC and the AC as an emphatic mandate for an able defence of the University of Delhi from the ruinous policies orchestrated by the Government and carried out by a puppet VC. The DTF promises to ensure that all sections of affected teachers get their due entitlements in the form of secure employment, promotions and pensions.